HETS and one of its member institutions in California, CSU, San Marcos and its Student Affairs Office; celebrated on March 24 an event, with a special focus on what each of California State University campuses are doing to support the success of our Latino students. This was a very productive meeting where attendees from California State University representatives from: Domiguez Hills, Fullerton, Los Angeles, Long Beach, Monterey Bay, San Bernardino, and San Marcos, discussed best practices they have adopted and shared the lessons learned during their implementation. The meeting will take place on Thursday March 24th from 8:30 am-4:00 pm in the University Student Union Room 2310. We will be serving a continental breakfast with coffee and tea at 8:30 am, lunch from 12:00-1:00 pm and afternoon snacks. Below a list of local restaurants has been included a list of local restaurants if you would like to stay in San Marcos for dinner. CSUSM, Student’s Affairs office has reserved a block of rooms at the Lakehouse Hotel and Resort. Our block includes all lake view rooms at the special rate of $169. 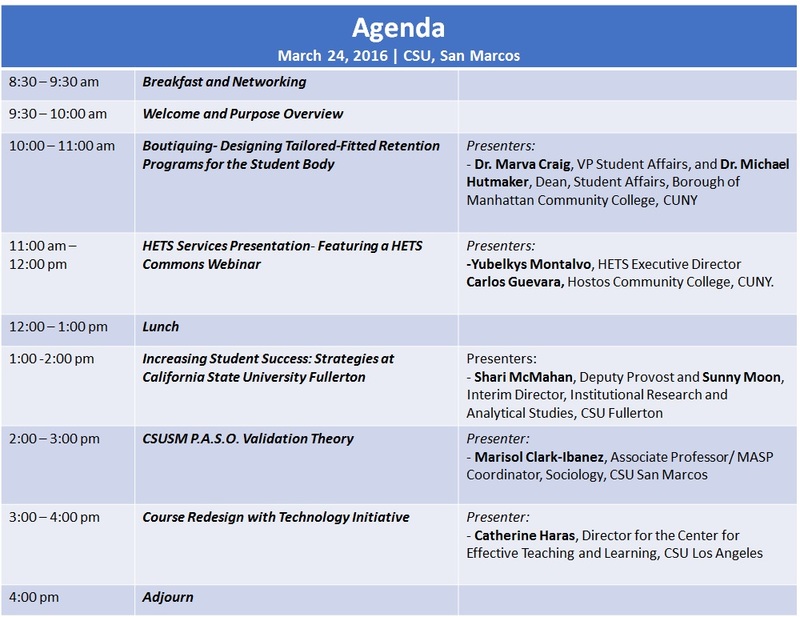 We strongly recommend you to please reserve your room by phone (760-744-0120) and not online and be sure to reference the CSUSM HETS Meeting. Upon reservation, please send your confirmation number to Ms. Devon Bakewell via email: dbakewell@csusm.edu to ensure your special rate. The closest parking to the University Student Union is in the multi-level parking structure. 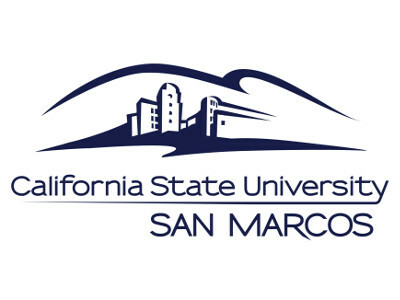 If you have a universal CSU parking pass, it will not be necessary to purchase a CSUSM pass. If you do not have a CSU pass, please contact Devon Bakewell (contact information below) which will be happy to assist you with a single day pass. Click here to download a CSUSM map for your convenience.